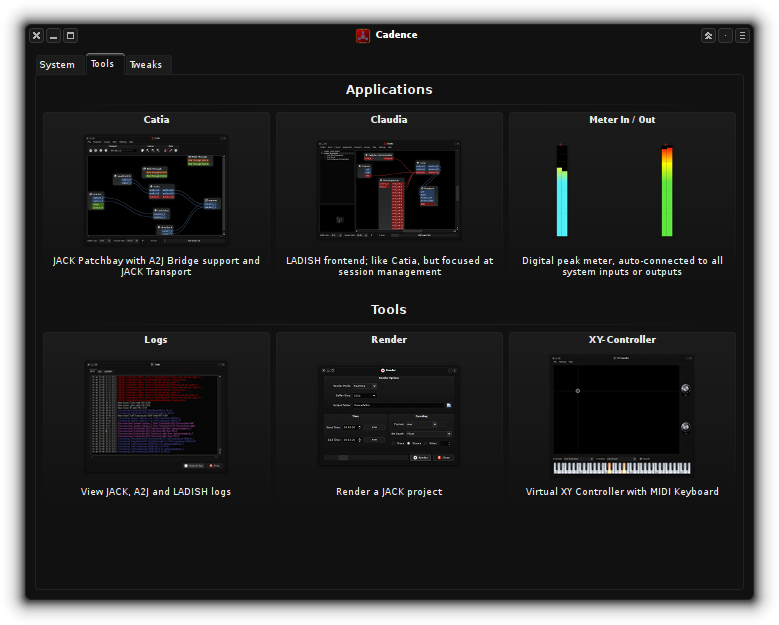 Cadence is a set of tools useful for audio production. 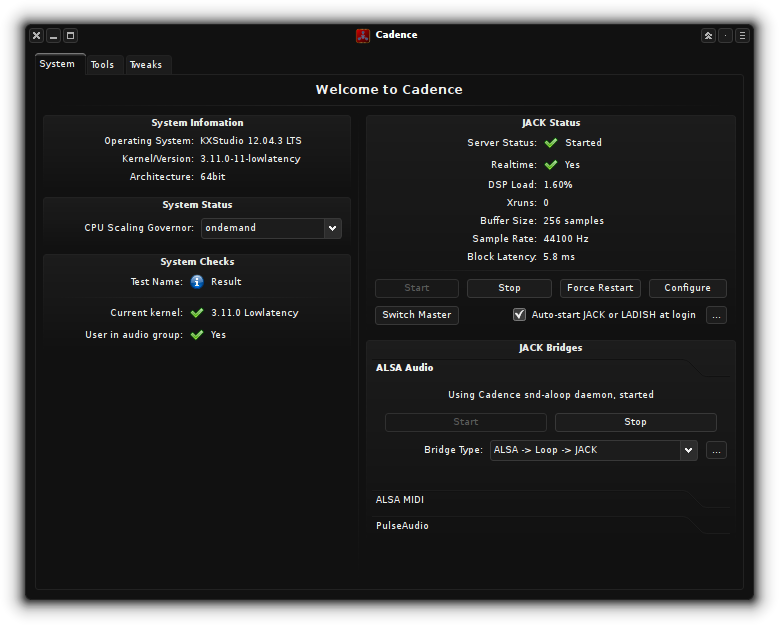 Cadence itself is also an application (the main one), which this page will document. There are other applications that are part of the Cadence suite, they are usually named as the "Cadence tools". Some of these also have sub-tools, such as Cadence-JackMeter and Claudia-Launcher. Each of these sub-tools is properly documented in its respective page. Cadence can be executed as 'cadence'. Running it with '--minimized' makes it start minimized in the systray. 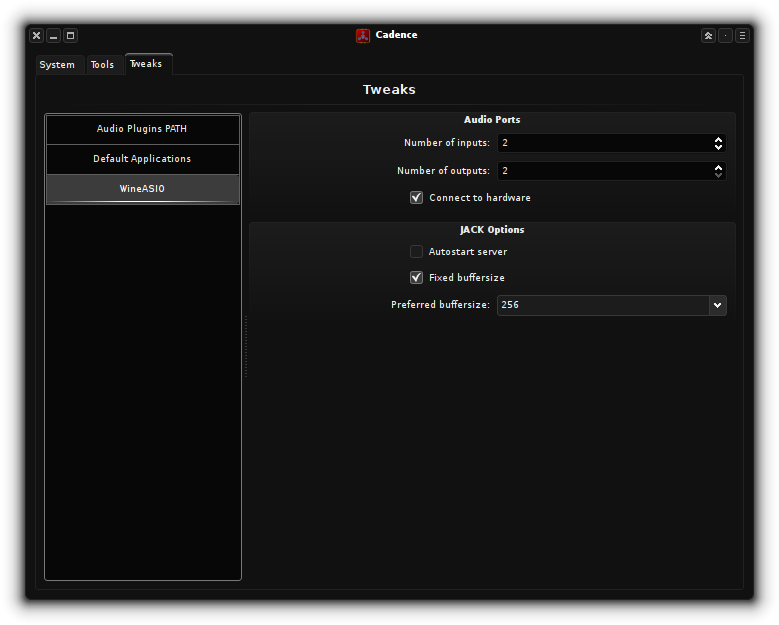 Cadence is available in the KXStudio repositories and ArchLinux AUR (both with 'cadence' package name). Pre-compiled binaries are available for Linux and Windows.